Curated by Angela Bailey + Nick Henderson. Vital Signs presents a unique opportunity for contemporary artists to engage with and creatively interpret the collection of the Australian Lesbian and Gay Archives. (ALGA) Each of the artists have a rich art practise that considers social justice, activism and GLBTQI cultures and will engage with different aspects of the collection to inform their work. The Archives were established in 1978 and for the last 35 years has actively collected and preserved GLBTQI material from across Australia and actively sought to educate a wider audience about Australian GLBTQI history. The Archives is a community-orientated organisation committed to preserving and sharing the rich and diverse histories of the GLBTQI communities for future generations. The exhibition is presented as part of the Cultural Program of the International AIDS 2014 Melbourne Conference in Melbourne and considers the shared histories of the GLBTQI and HIV communities in a contemporary representation. IMAGES | Deborah Kelly , Acting up 2014 (in memory of the Floral Clock action, 1991) Paper collage on Stonehenge cotton paper with pigment ink, 56 x 7.5cm, Marcus Bunyan , Untitled from the series ‘Deep Water’ 2014, Digital photograph on archival rag paper, Peter Lambropoulos, Side B, Acid remix (rewind) — (video still), 2014, Duration 6.14 minutes, Digital video on iPad (continuous loop), Ray Cook , Untitled from the series ‘Conversation with Ancestors’ 2014, (Lottie, Melbourne 1960’s from the ALGA collection), Digital Photograph, Salote Tawale, Pocari Sweat 2014 (video still) | Images courtesy of the artist. The above statement by curator Bernice Murphy focussed on the core aims of her 1994 exhibition project Localities of Desire: Contemporary Art in an International World, at the Museum of Contemporary Art in Sydney. It looked at the unpredictable intersections between divergent works of art and cultural forms of wide-ranging origins as a way of rethinking the processes and acts of exhibition-making in an ever-more complex socially diverse world in which individuals and communities stridently assert, claim, and seek to galvanize identity. Archives in all their forms reassure us that the material culture that has helped define who we are – named us, classified us - exists to continue to shape our contemporary vision and our world. Vital Signs affirms the archive as a living, essential, generative entity for each of the six participating artists, and by extension for all of us for whom the preservation of, and access to, the signs of our communities is a fundamental imperative. The concept and practice of artists working with museum collections has a long and rich history, and across time artists have constructed new narrative lines and dialogues between their practices and objects from other points of historical origin that, for them and hopefully for us as engaged viewers, have a strong contemporary relevance. 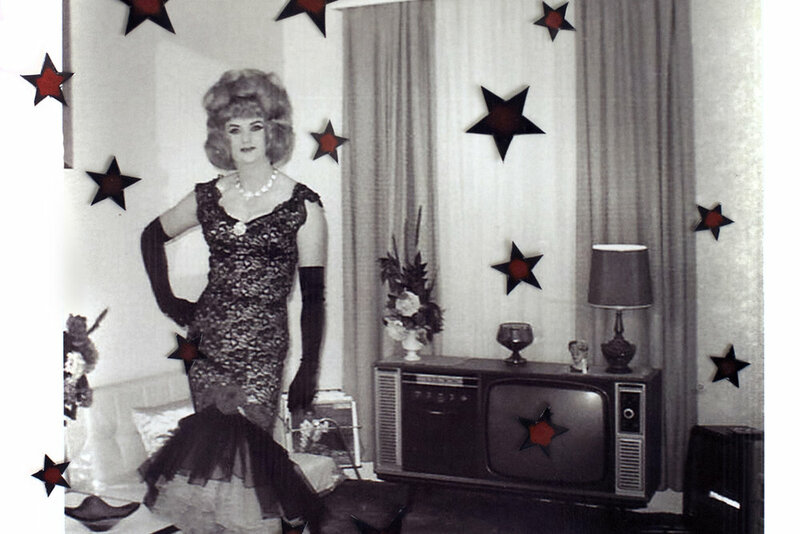 In this project the Australian Lesbian and Gay Archives are re-viewed through the mediating agency of six distinct art practices but unified through their interpretation and recontextualisation of cultural artefacts that variously disclose ‘the multiple centres of meaning that may be operable within a particular culture, within a group of works, or even a single work.’  So in Vital Signs, cultural engagement, readjustment and transformation are activated by dynamic, open-ended collaboration between artist that enables the interpretation of objects and of histories through new forms and new ordering beyond standard museological presentations. What is at the forefront of this collaboration is a redefinition of the systems of representation, and of language and communication. And it is a collaboration that promotes knowledge. My first admission is that before accepting Angela Bailey’s invitation to contribute this brief reflection on Vital Signs, I was not aware of the sheer extent of the holdings of the Australian Lesbian and Gay Archives. My second admission is that of all the exemplary checklists detailing the extraordinary holdings of the Archives, it is the T-Shirt index that has obsessed me, cataloguing as it does the attitudes and communiques of sexuality and solidarity with the gravitas of certain times and laugh-out-loud acerbic humour. Go on line, read the lists. What has intrigued me is the way in which each of the artists is, in some way, an archivist themselves. Marcus Bunyan’s photographic works has for many years elaborated personal narrative and the fluctuating interrelationships between identity, sexuality, space, time and environment. His work here is to amplify unheard voices and hidden lives, continuing his interest in revealingmarginalized sexual histories. Penny Byrne has used the extensive badge collection of the Archives to reflect her lesbian history and on the social and political communicative power of the badge as an object that identifies the individual and the collective. It is the culmination of almost a decade of thinking about the galvanising power of this everyday form. Ray Cook’s reinterpretation of a photographic archive to construct a fifty-year narrative around ‘Lotti’ juxtaposes a particular history of community and cross-dressing with Cook’s personal image library of family and friends, and in doing so his new renditions remind us that the public archive nourishes identity on a very personal level. PeterLambropoulos’ engagement with the late David McDiarmid’s 1990s mixed tape Toxic Queen – Funeral Hits of the Nineties, honours the commitment to self-awareness, proclamation of identity and community that was the bedrock of McDiarmid’s creative and personal/public life. Salote Tawale’s long engagement with archives and self-portraiture have enabled her to consistently address and dismantle the structures of colonialism and modernity. As this exhibition clarifies, the exchange between artists and collections is dynamic and invokes the deeply personal as much as the political. Part of the intrigue of these artists’ activities here is that new works cannot be constituted without access and reference to the Archives’ collection. It illustrates the potential for archival material to be reconfigured in discursive, imaginative contexts that keep the vital signs of the past alive and kicking in the present. Vital Signs is supported by the National Association of People Living with HIV Australia. (NAPWHA), the ALGA and the Victorian AIDS Council.